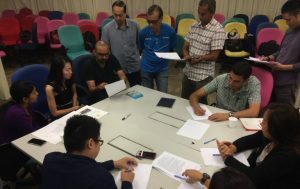 This is a 2-day workshop on leading others which is part of the participant’s 12 months leadership development programme. 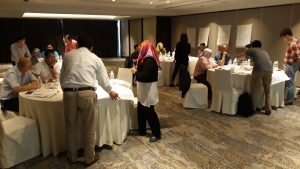 This is a 1-day workshop ‘The collaborative leader’ which is part of the participant’s 3-month Accelerated Leadership Development Programme’. This programme consist of 3 workshops, personality profiling and 1 on 1 coaching. 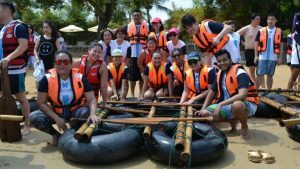 This is a 1-day organisation wide team building to cascade the organisation’s core values. It is an indoor programme for 250 participants using experiential activities. 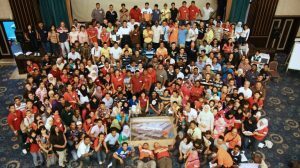 This is a 3D/2N team building programme for 60 participants. 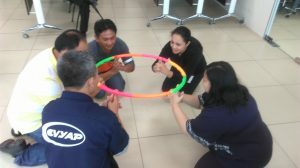 Participants used the DiSC profile to appreciate each other differences and overcome challenging activities together. 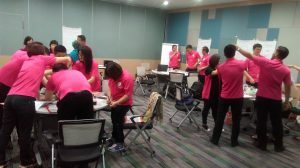 This is a 2-day team building where participants from Singapore and Malaysia come together to strengthen their working relationship. 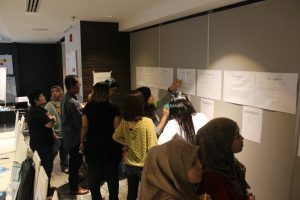 Using Motivational Maps, participants understand what motivates them and be able to support each other better. This is a 1-day facilitation session. Participants consist of senior leaders who needs to prepare the organisation for the next 3 years. This is a 2-day senior leadership retreat where participants connect, refresh and plan for their next journey forward. This is a 2-day facilitation session for the senior leadership team. Participants work together to ensure their processes are aligned as they prepare transition to SAP system.